Hong Kong Traffic Management & Information Center – Advantec Consulting Engineers, Inc.
ADVANTEC Consulting Engineers was the Joint Venture Consultant Team and project manager of the team that conducted a feasibility study to evaluate the means of providing a Traffic Management and Information Centre (TMIC) for the Strategic Road Network (SRN) in Hong Kong. The project involved evaluating the need, mission and objectives of the TMIC, leading to development of an “Operations and Staffing Plan Report”, a “General Layout and Location Report”, a “Systems Study Report”, a “Cost Estimates Report”, and a “Preliminary Project Feasibility Report”. The Operations and Staffing Plan Report evaluated the staffing needs and recommended the best means of staffing the TMIC. 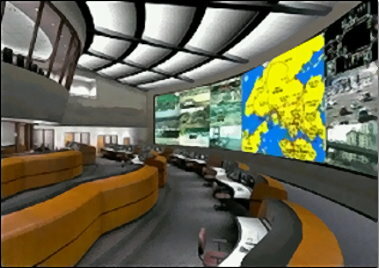 The General Layout and Location Report evaluated different locations and control centre layout requirements, leading to a conceptual design of the TMIC. The Systems Study report recommended the system hardware and software requirements, the system architecture, and centre-to-centre communications protocol requirements. The Cost Estimates Report summarized the total project cost of HK$200 million. The Preliminary Project Feasibility Report was prepared for the local legislature to allocate funding for the project.